Members of Bulgaria’s Parliament are planning to forego the barricades for the beaches on their annual August summer holiday, escaping the capital city where for more than a month they have been the subject of barracking for them to resign. Not only barracking, but also the blowing of thousands of whistles, the hurling of tomatoes, the waving of insulting signs, the chanting of the traditional calls “resign!”, “red rubbish” and “mafia!”, the traditional drinking of morning coffee…all those things that have become traditional, potentially presenting protesters with the problem that the protests have become routine, as each side waits for the other to blink. The word from within the parties holding power in Bulgaria is that after the August recess, it will be business as usual, and that they have no intention of bowing to the daily demands for them to resign. 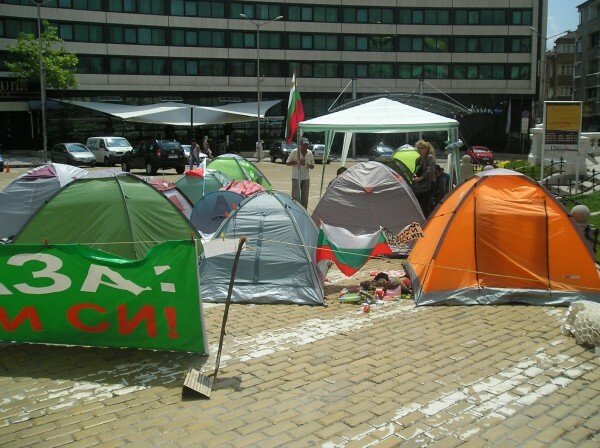 On July 18, the 35th day of consecutive daily protests, Plamen Oresharski, occupant of the prime minister’s chair in the Bulgarian Socialist Party government, repeated that he had no intention of resigning. This, he was quoted as saying, would not be explicable to those 300 000 people who supported him, presumably a reference to the sum total of the votes for the parties in government. 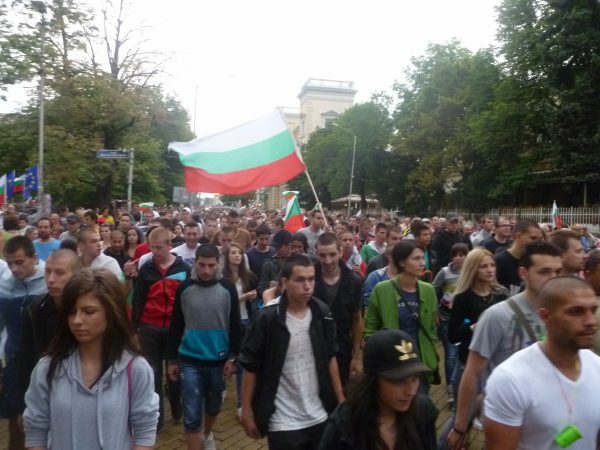 From the very first days of the protests, the anti-government protesters who daily tread the long route around Sofia have insisted “we will not get tired”. For now, theoretically the protests could go on for a very long time. The mayor of Sofia, Yordanka Fandukova, has turned down calls to ban the protests, which overwhelmingly have been peaceful and orderly, barring some flying and unscheduled blockading of central city street intersections during working hours, and taking into account that the few arrests have been of suspected agents provocateur who have no link to the mainstream of anti-government protesters. The parties in power have attempted various forms of pressure – from the now-notorious statements by the socialists’ Mihail Mikov, Speaker of the National Assembly, for media including the public broadcasters to reshape their coverage and Ataka leader Volen Siderov’s even more bullying attempt at intimidation, to reported orders to police to step up routine checks of the identity documents of people taking part in the protests. Within the social networks used by anti-government protesters to mobilise, there are debates about strategy. One recent proposal was to concentrate on Mondays, Wednesdays and Fridays to blockade Parliament instead of embarking on the daily long march. Various themes and events have been used to lend variety to the protests, to stave off the risk of routine. Legally and practically, there is no way for the sitting government to be ousted. A Constitutional Court challenge to the May parliamentary elections by the former ruling party failed. However tenuously and however much the situation awkwardly depends on Siderov’s Ataka, the governing parties can muster not only a quorum but also sufficient votes to approve legislation. The counter-strategy from those in power has tended to be at the level of conspiracy theory. 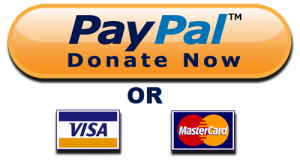 There have been dark suggestions about who “really is paying for the protests”. 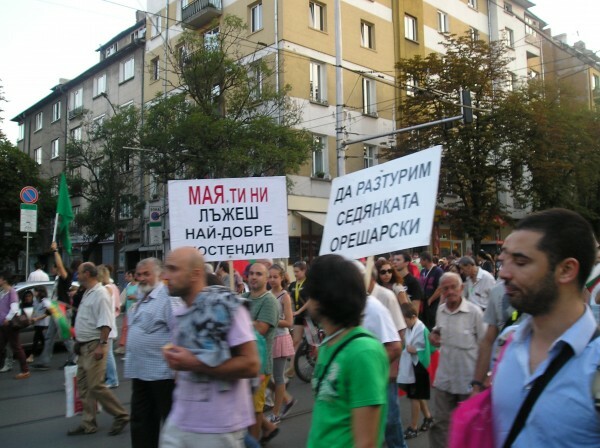 On the face of it, the protests have no real cost to the participants – there is no admission fee to leave your home to walk around the centre of Sofia. The only known cost so far is the escalating spending on police overtime. However, this does not stop those who want the government to stay in place seeking to discredit the authenticity and spontaneity of the protests. Given that coffee is being handed out free at the morning sessions of coffee-drinking outside Parliament, one news website forum poster asked, who is paying for 100 coffees a day, multiplied by the days of the protests? It is a strategy of insinuation, not dissimilar to that being conducted at a higher political level to seek to discredit President Rossen Plevneliev for his stated endorsements of the conduct and significance of the protests. For those following proceedings closely, it has become notable that posts on news site forums against the anti-government protests have seen an upswing of late. A recent example was beneath a story on the Darik news website, where in rapid succession, a series of single pseudonyms posted a long series of anti-protest comments, each of a sentence or two. Without being able to check whether all these comments came from the same IP address, it did have the look of an individual with a cause to pursue and an admirable typing speed. 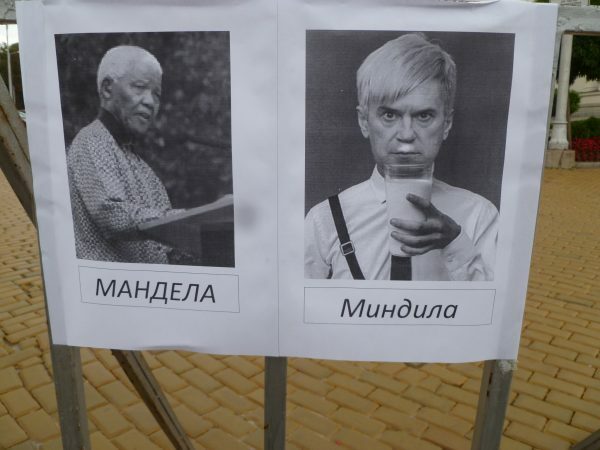 Elsewhere from within the establishment, media close to the parties in power also play their continuing role in seeking to discredit the protests, singling out individuals and portraying their alleged links to various dastardly “oligarchs” as well as that other dangerous rabble-rouser, head of state Plevneliev. Occasionally, press propaganda simply becomes downright funny – a “newspaper” ran a front-page story about the demands by pro-government protesters for Plevneliev to resign, illustrating it with a photo of the many thousands of anti-government protesters in Tsarigradsko Chaussee. The seeming impregnability of the position of the parties in power cannot take away the two polls showing majority public support for the anti-government protesters’ demand for the government to resign immediately, even though from within establishment circles have come two different polls showing minority support for the protests and claiming that were elections to be held now, the Bulgarian Socialist Party would win. But it seems that the holding of elections now remains only in the realm of dreams on the part of the protesters. Already, anonymous participants in forums are posting satirical comments, lampooning the daily media reports of the 34th/35th/36th and so on day of the protests, situated four years from now, with the current government still in power and the protesters still futilely demanding its resignation. As August approaches, a question may arise about whether a change of strategy will be required, lest protesters find themselves blockading an empty Parliament, or their numbers dwindle as those who can afford to, head for the seaside. 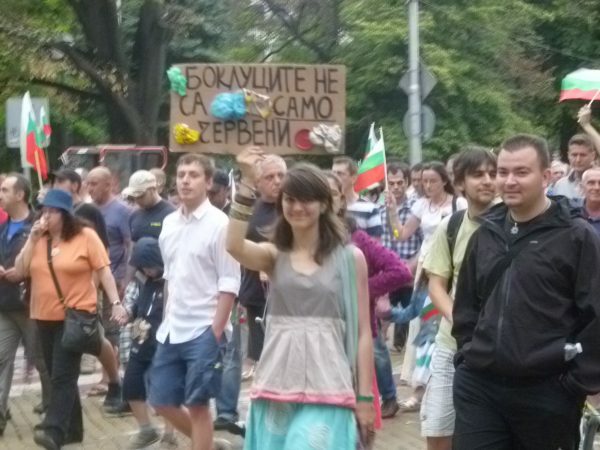 It would hardly be improbable for thought to be given to special events at the coast, given that numbers in Varna and Bourgas so far have hardly matched the proportions of those in Sofia – and those in power like to claim that the protesters are limited to the capital city, just a well-off bunch of Sofians fond of free coffee and idly making a nuisance of themselves. Whatever happens in August, will it all go on into September, November, December, until today’s summer-clad protesters are braving the chill and the snow and the fact that the yellow cobblestones outside Parliament can be hazardously slippery when wet? Cold weather hardly deters protesters – the memories of 1996/97, to say nothing of the entirely different “energy price” protests of early 2013 are evidence of that. It appears reasonably certain that those in power, apart from blithely ignoring the protests, idly seeking to discredit them and claiming to be in office by popular consent, are playing the waiting game, for the anti-government protests to simply lose steam. It is psychological warfare, so far conducted peacefully, with both sides vowing – as per the speech referenced above – “we will never surrender”.